Insito Claims will help you get the highest possible amount of compensation also in the case of any bicicle accident. The money can cover medical expenses, the repairs of the bicycle and equipment if it has also been damaged. Do not hesitate, we act quickly and effectively. There is probably no family in the UK, where there isn’t at least one cycling amateur. Every generation uses this vehicle. From the moment when a toddler begins to stand on its own, a parent buys a special seat and puts him in it so that he could accompany them during trips to a nursery or kindergarten. Then comes the time to learn how to ride on one’s own, to go on tours with peers and so on. When a bicycle becomes not only a hobby but also a professionally cultivated sport, it becomes a way of life. You do not need to be a professional to be able to participate in many events that integrate avid fans of single-track vehicles. In the UK, there are many associations and clubs organizing cycling tours. Routes of such expeditions are adapted in many ways to the participants and to weather conditions. These routes are not just bike paths but also more difficult places such as meadows, fields and forests. Each person who participates in a cycling event or a rally must remember the safety rules. First of all, the head must be protected by a helmet and the elbow and knee pads must not be forgotten either. A lot of single-track vehicle fans in England are our fellow countrymen, and unpleasant situations can also happen to them when they are riding. There are many situations that can lead to injuries even if the cyclist is well protected, such as difficult and slippery surface, holes in the bikes path, other road users breaking the traffic rules, these being just some of them. A cyclist in a collision with another cyclist or a larger and faster vehicle has almost no chance to leave the scene of an accident unscathed. For a cyclist, an accident may result in bruises, broken bones, and injuries of the spine, the skull, invalidity or even death! You need to know that in the UK, a cyclist is equally obliged to comply with the Highway Code just as much as other traffic participants. 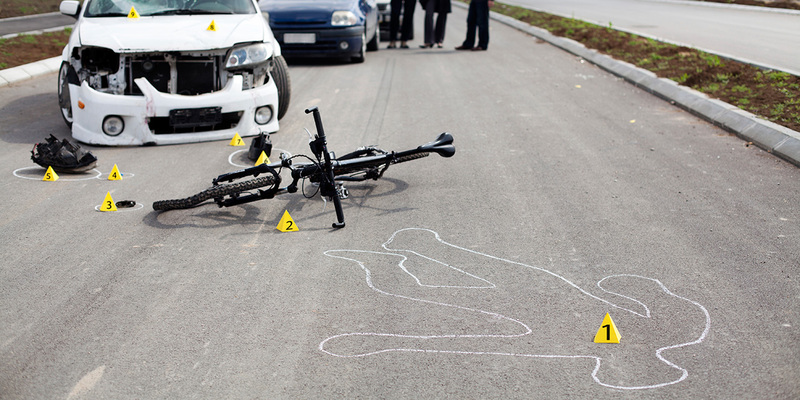 It is essential to know that you can obtain compensation if you were involved in a cycling accident. You should be aware of the fact that the lower the level of your security is, e.g. riding without a helmet or on a defective bike, the lower the amount of a claimed amount. At that point, you can use the help of our professionals who, with their experience and qualifications, will support you in every step of the process. Insito Claims, operating in the UK, makes every effort to obtain compensation due as soon as possible. Just call us at 0208 940 0069 and after establishing contact, our representative will take over your case. We follow the principle of No Win No Fee, therefore, you do not risk spending money, if you do not win the case.